I love glitter and glittery things but when it comes to makeup we seem to have grown apart. There was a time when my entire makeup collection consisted of everything glittery except my mascara - my liner, lip gloss, nail polish, blush - you name it, it was all glittery. Lately though, my love of mattes seems to have replaced my fondness with a sort of fear for glittery makeup. That and about 14 years of ageing has seen me slowly get rid of anything with any amount of discernible sparkle in it. Even when it comes to highlighters I prefer those that have a glowing sheen rather than a glittery finish. 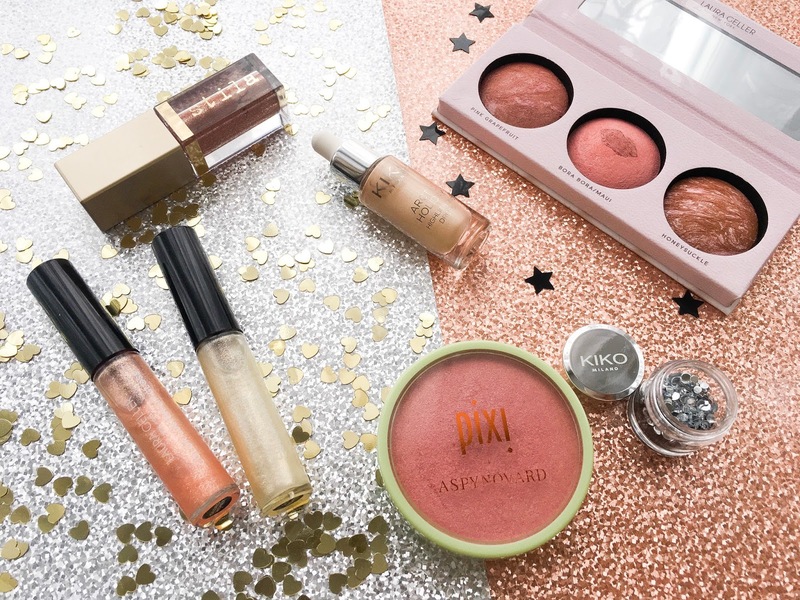 Recently though I have been playing around with some new glittery makeup products that are perfect for party makeup especially during the festive season. 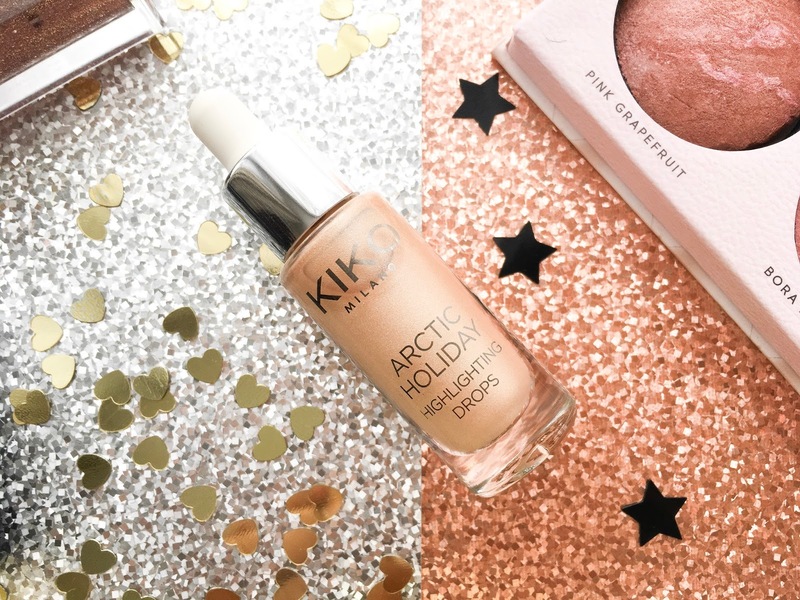 This duo kit comes with a liquid highlighter and some gems to add both subtle glow and prominent glimmer to any look. I’ve been playing around with the highlighter drops and personally I like to apply this all over my face after primer and before my matte foundation for a luminosity not otherwise achieved with such base products. I particularly like the shade as it’s neither too golden nor too silvery. It can of course be used as a highlighter and it is intense and beautiful. 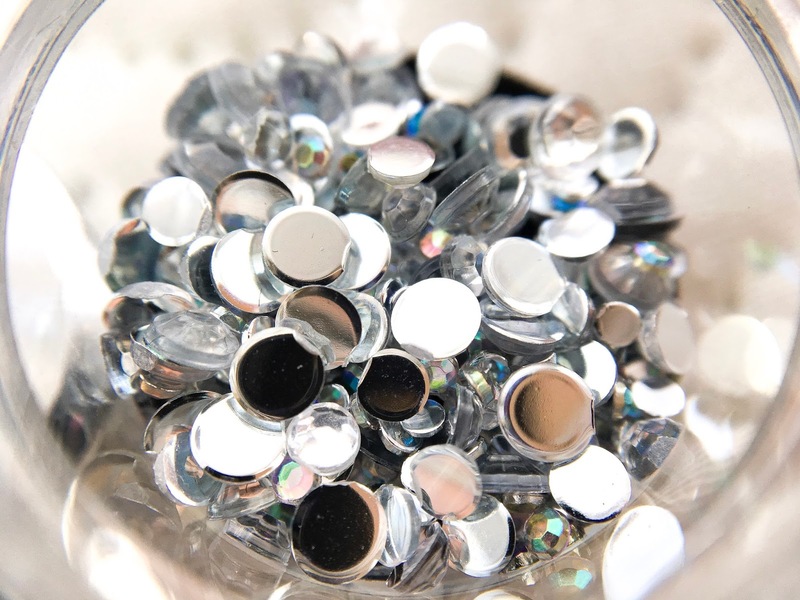 The gems are super cute and come with a small tube of glue too making it easier to step up the glitter game. It goes without saying, these have to be the best glitter makeup launches of the year. A tinted molten eye shadow littered with varying sizes and colours of glitter that jazz up any eye look in an instant. This shade works really well with my usual brown smokey eye but there are so many shades to choose from. They make it look like a lot more work has gone into the finished look than just simply swiping onto the lid. I can't imagine myself going to a party without using this as a finishing touch for my eyes anymore. I’m no stranger to shimmery lip glosses. In fact my favourite lip gloss from my 'glamour era' that was between the age of 16 - 17 was a lilac lip gloss covered in rainbow sparkles from Claire’s (don’t scoff - I knew I was way ahead of my time). It’s just that I haven’t used a lip gloss really in a number of years let alone a glittery one. These however have got me yearning for the glossy lip life again. They give the lips such a gorgeous shine and make them appear super voluminous. They are surprisingly weightless on the lips and not really very sticky which is great. The shimmer is incredibly pretty making them perfect for applying on top off liquid lipsticks when you want some reflective action. Gilded Honey is a peachy shade with fuchsia and gold glitter flecks, while City Lights is a champagne shade with silver and gold flecks. I’ve been enjoying layering them on other lipsticks and creating interesting renditions ready for any party. I have a greater number of matte blushes in my collection these days but there’s something irresistible about a glowy or shimmery blusher that adds colour and radiance all in one. This palette contains three blushers, one with an inner shade which can be worn alone as a fourth shade or swirled together with the outer shade. They are pigmented and have a gorgeous iridescence to them. 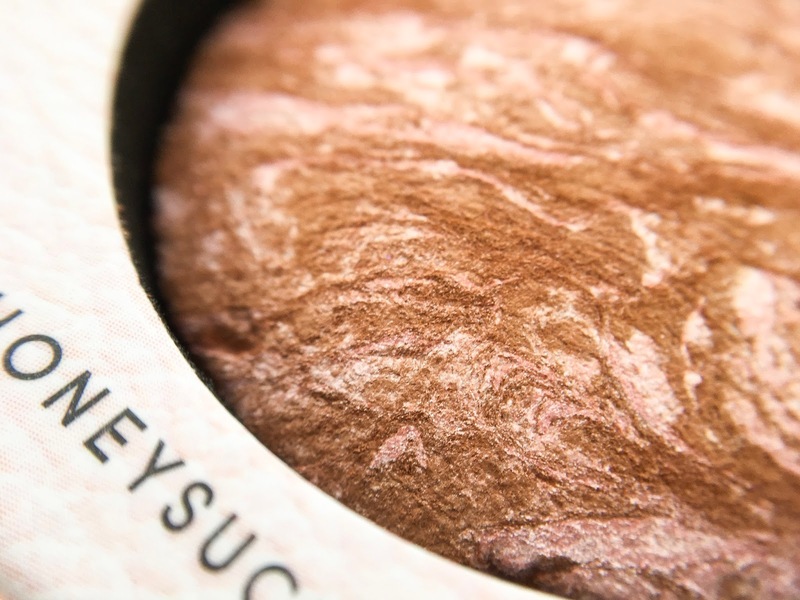 My favourite shade is Honeysuckle which is a light pink shade swirled with what looks like a traditional baked bronzer. It brightens and warms the complexion simultaneously and all the while adding that burst of glow. I’m not one to use a shimmery blush topper for daily use but when it comes to party makeup I feel like you can’t have enough of the reflective stuff on one face. This would probably show up as a blusher for fairer skin tones but on me the pink base is barely visible. What I am left with is a uniform veil of golden shimmer over my blush which adds a youthful sheen to the makeup look. It isn’t as long lasting as you’d like but I find myself reaching for it on special occasions to add a little something something to my usual blushers.